We are happy to participate in the development of the next generation of veterinary surgeons through the University EMS Placement Scheme. 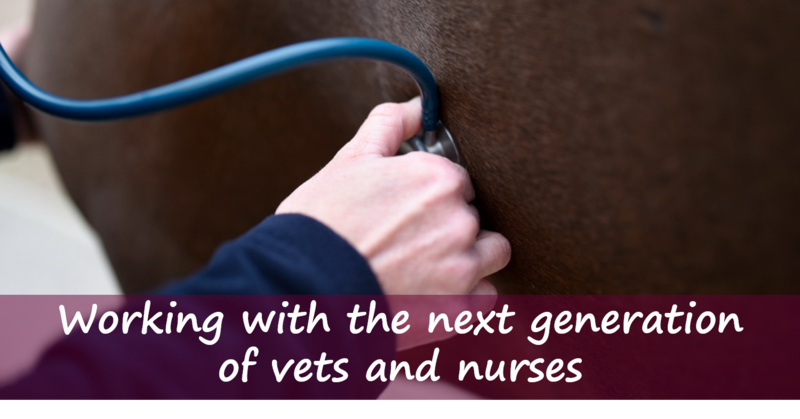 We can normally take one veterinary student per area of discipline (Small Animal, Equine and Farm) at one time, and due to the demand for placements these are normally restricted to a maximum of 2 weeks. You will need to arrange your own accommodation locally and have you own means of transport - especially for Equine Placements, where you may need to travel to meet the vet at the start of the working day. As you will appreciate with the number of EMS students we have at the Practice, the more active participation and being inquisitive you are, the more enjoyable it is for our vets, nurses and other staff to have you with us - P.S. don't forget for a Practice to be successful (and you as a vet) there is much more involved than just the clinical side, so when you are with us find out about how a Practice as a business is run, the various different roles in a Practice, and the importance of developing "client facing" skills. If a placement is booked, we will send you an arrival letter shortly before you are due to be with us. This will include a Contacts Form and a Form asking you to confirm what you wish to achieve during your placement, which both need to be completed and returned. We are happy to help prospective veterinary students and veterinary nurses with work experience prior to applying to Veterinary College. Each Veterinary College expect different amounts of "Animal" work experience, but the focus of them all is for the prospective veterinary student to have an appreciation of the care of animals, be it pets, horses, livestock or zoo animals, not only from a veterinary perspective, but also from that of the keeper, trainer or farmer etc. Therefore work experience should be undertaken in a variety of establishments. The various colleges can provide more information on what they want. Due to the demand for places we can only provide work experience to those students at the end of Year 11 and above. Work experience placements are for one week per student (Monday to Friday) at our Small Animal Veterinary Hospital only. We can only take one student at a time and are unable to take work experience in our Equine or Farm departments. Priority is given to students attending local secondary schools in Aylesbury. Whilst some participation in assisting the veterinary nurses may occur, the majority of the work placement is observational. Students will observe routine and emergency operations as well as other procedures. Students will be supervised at all times and will be expected to follow all instructions given. As the amount of school holiday is limited, and due to the number of students wanting work experience, we ask for schools to be flexible in allowing students time off during term time if possible. Please note that school holiday placements are normally booked over 6 months in advance. 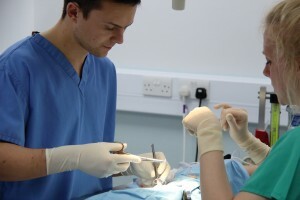 As you will appreciate with the number of school students we have at the Practice, the more inquisitive and keen you are, the more enjoyable it is for our vets, nurses and other staff to have you with us. A letter will be sent out to you a few weeks before your placement, together with a Contacts Form, which needs to returned to us by return.